Ten shafts and ten treadles. Isn’t it fascinating how all those parts synchronize and work together to turn threads into cloth? It’s a mystery unless you’ve been in the weaver’s seat. Even then, it’s a wonder. 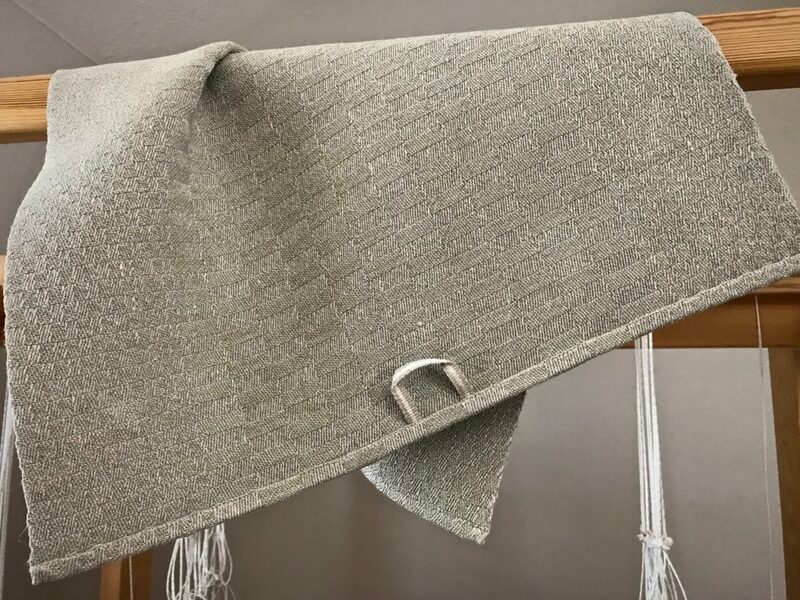 Especially when you see linen threads turn into this amazing five-shaft satin dräll! 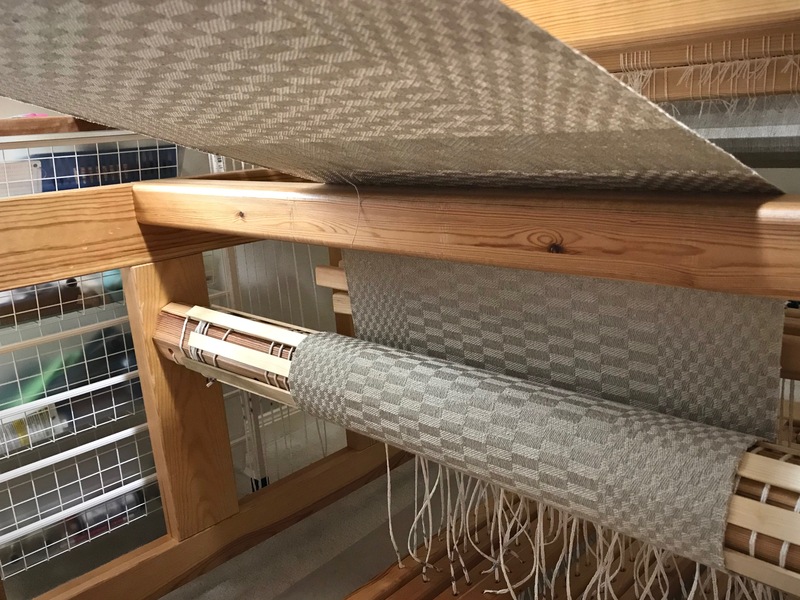 Linen warp and weft in five-shaft satin dräll. 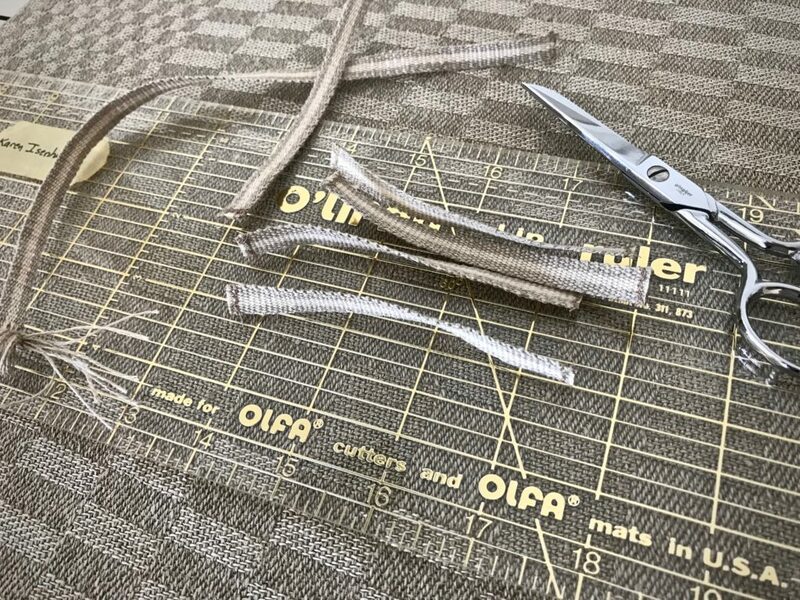 A temple is a standard tool when I weave with linen. No draw-in means no broken selvedge warp ends…so far, at least. 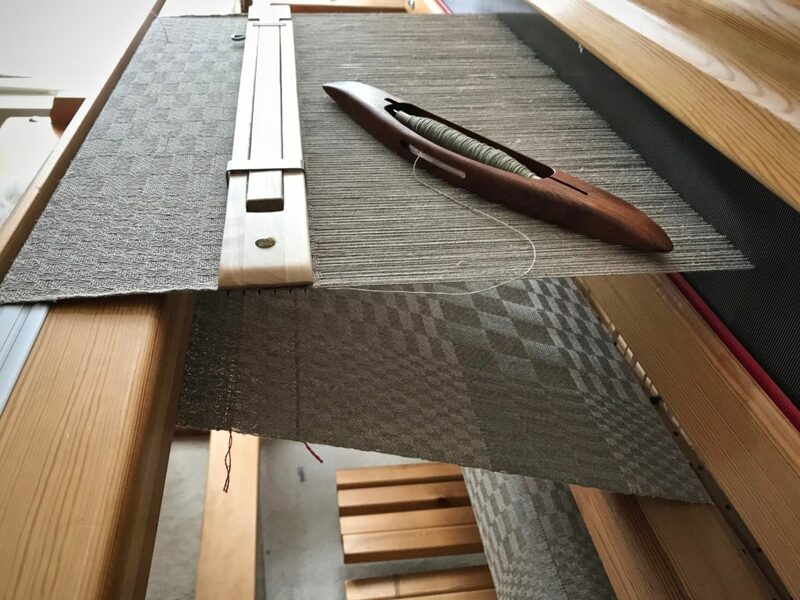 There are three towels left on this warp, but I am weaving the remainder as one long piece. I will cut it into separate towels after it’s off the loom. Or, I might change my mind and leave it long as a table runner. 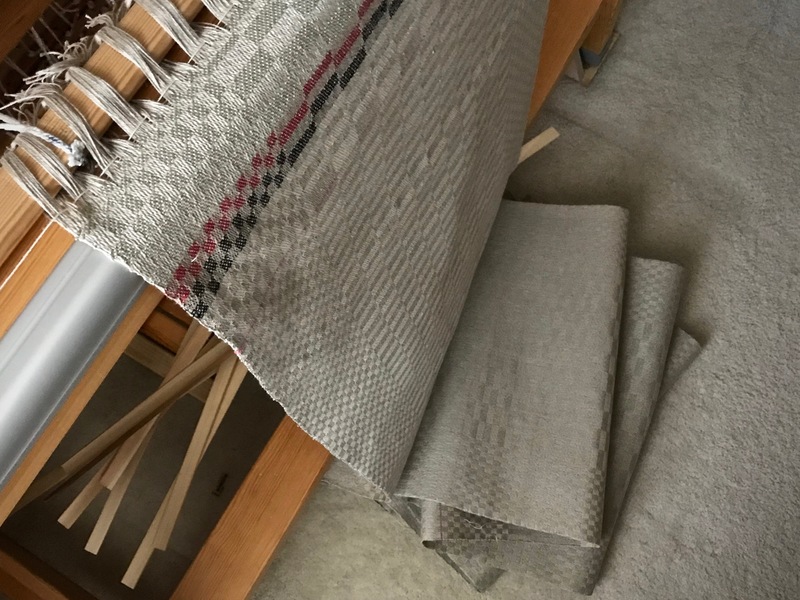 Warp is unbleached linen and the weft is ecru, also linen. 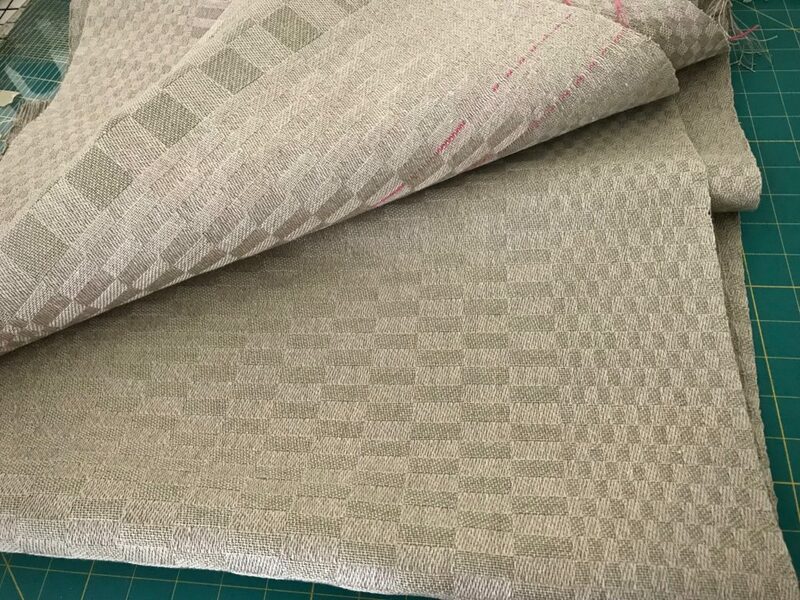 The subtle difference in color highlights the dräll pattern in the fabric. Mystery. The mystery of the ages is that Christ can dwell in us. Understand that? No, but I do understand a weaver sitting at the loom, managing the threads and throwing the shuttle to produce a specific fabric. What if I invite Jesus Christ to take control of everything being woven in my life? That is a mystery worth pursuing. May you find your way into a good mystery. Love the thought of the Master Weaver! Hi Wende, I agree! Keeping that in mind can put a lot of things in perspective. I like the table runner idea, Karen. Thank you. As a new weaver I am so inspired with your weaving and your wisdom. May this year be a blessing to you as well as all of the weavers out there. 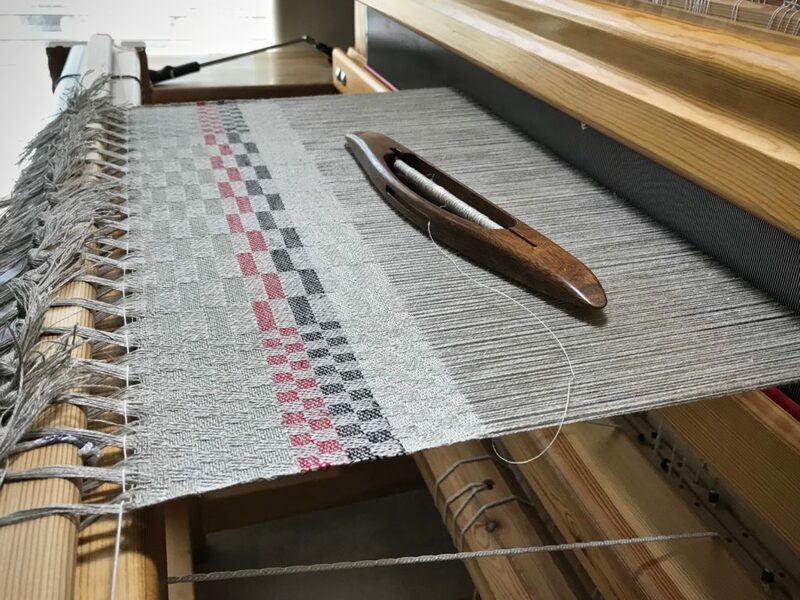 Hi Alisha, It’s great to hear from a new weaver! I hope you find out that your sweet spot is at the loom. 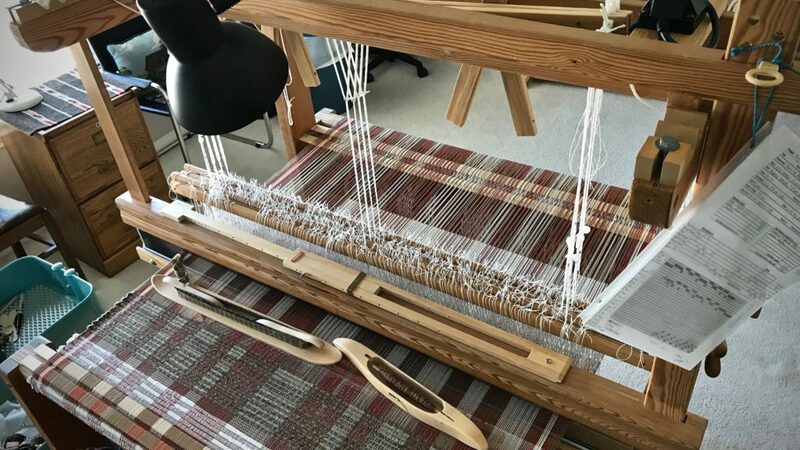 When my long-held dream of weaving on a floor loom became a possibility, I started my journey with questions. 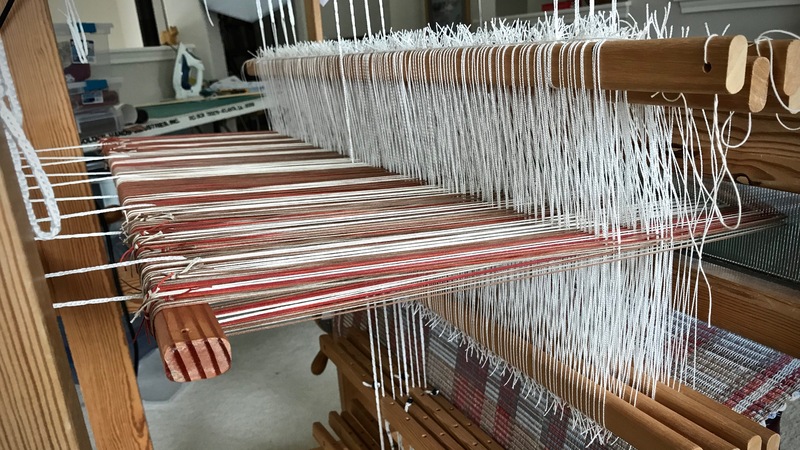 What are the pros and cons of the different types of looms? After considerable research, a winner emerged—the Swedish countermarch loom! Weave anything. Rag rugs to lace-weight fabric. Hanging beater. Swinging beater has momentum that enables a firm beat. No strain to shoulders, arms, or wrists. Asset for weaving rag rugs, and superb control for cloth with an open weave. Beater placement is adjustable, making it possible to weave longer before advancing the warp. Rear-hinged treadles. Pressing treadles is effortless, no matter how many shafts. 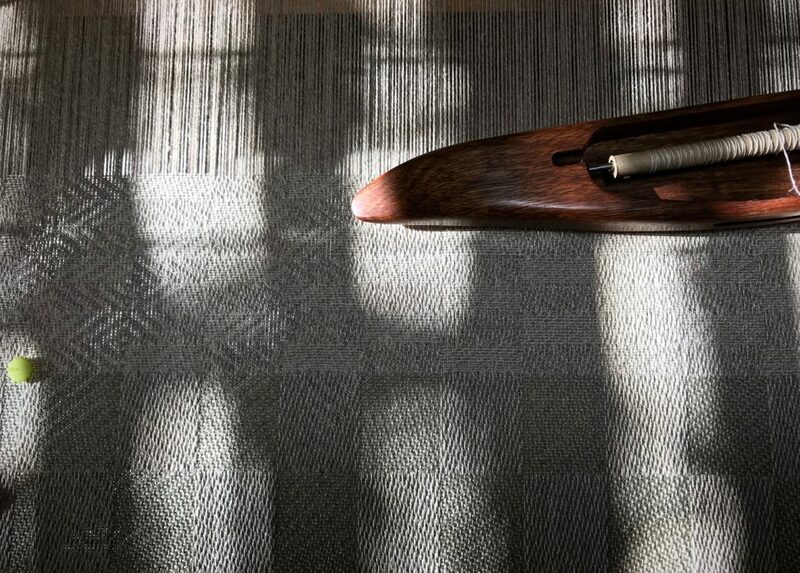 No strain on back, legs, knees, or ankles, even with robust weaving. 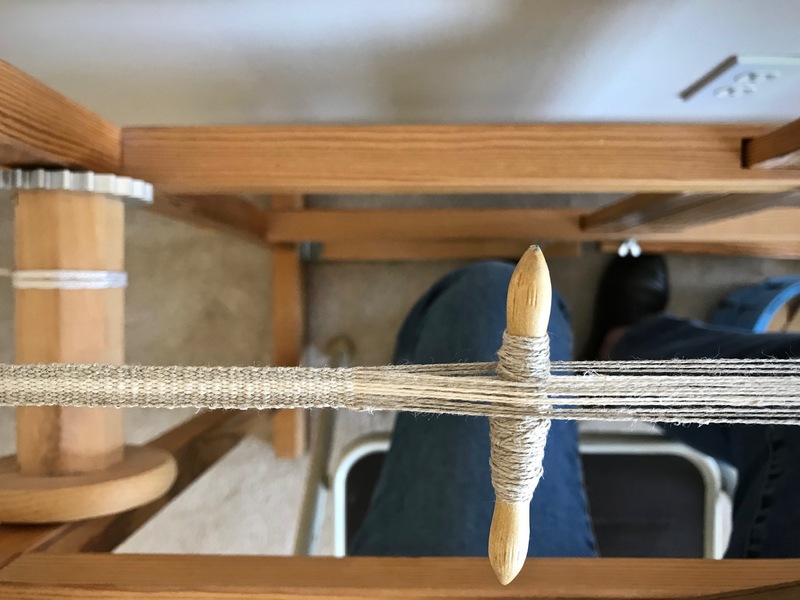 Because treadles are close to each other, I press correct treadles with sock- or bare-footed ease…without having to watch my feet. Ample foot rest makes it easy to trade feet when using many treadles. Clean shed. Stepping on a treadle raises and lowers shafts at the same time, so a great shed is not only possible, but usual. Glimåkra Ideal with horizontal countermarch. 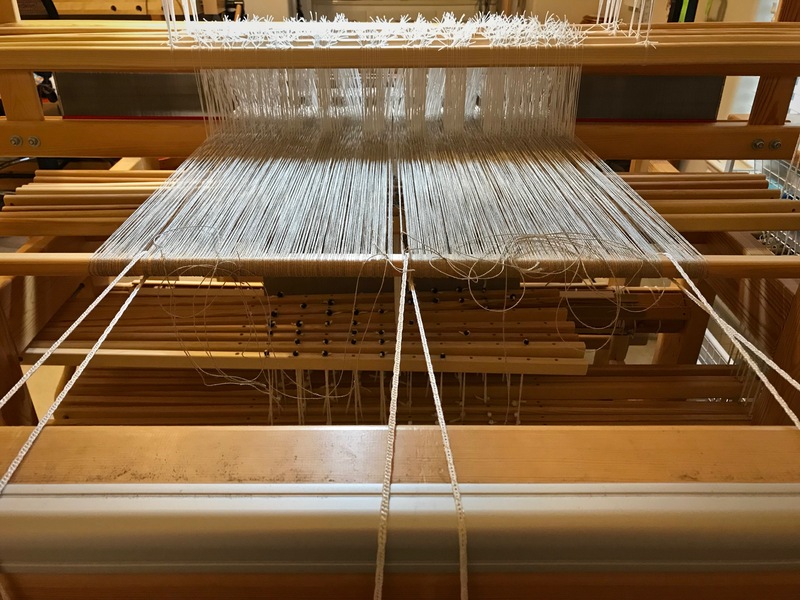 The cords from the countermarch jacks at the top of the loom go straight down through the warp to the lower lamms. 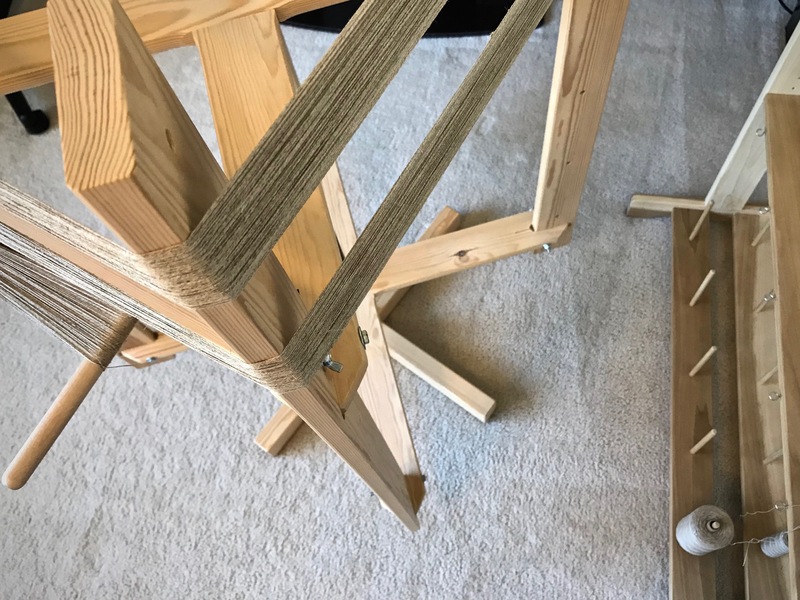 The lower lamms connected to treadles cause shafts to lift when a treadle is depressed. Even warp tension. Because shafts are both raised and lowered, tension is equal on raised and lowered warp ends. 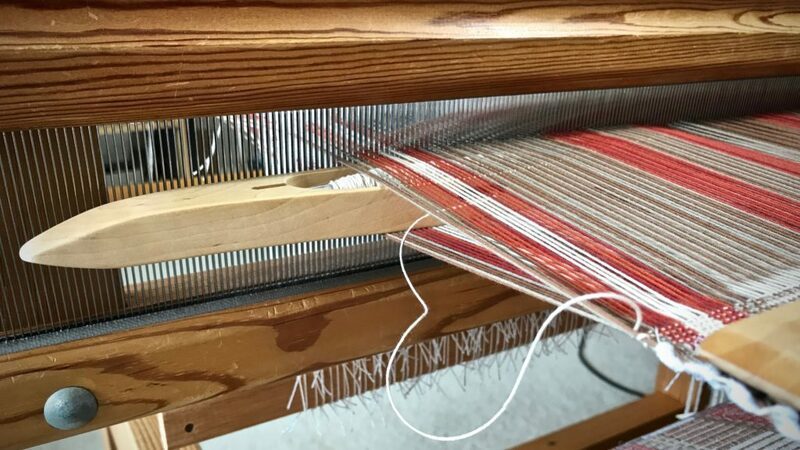 Even warp tension is good for all types of weaving. This even tension makes a tight warp possible. Perfect for linen, and for rugs. 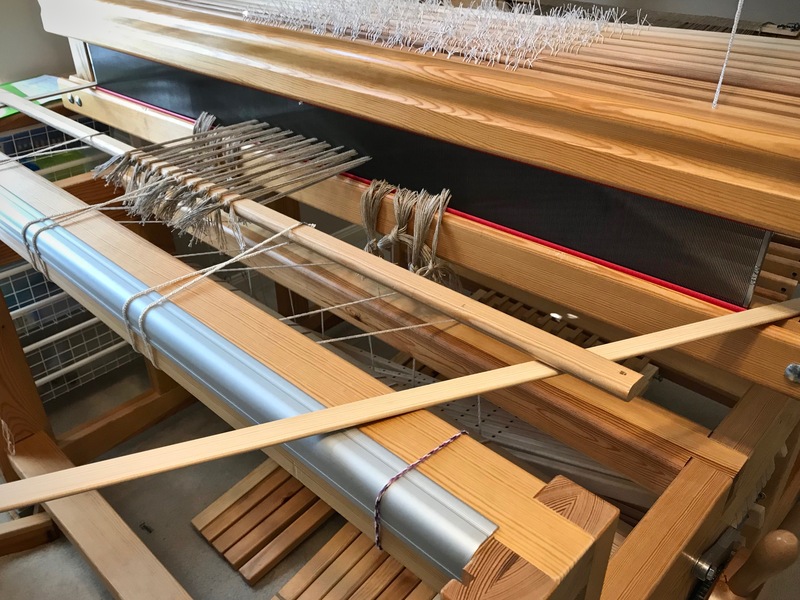 Gimåkra Standard loom with vertical countermarch. Cords from the countermarch jacks go over the side of the loom to the lower lamms below. The upper lamms (not pictured) attached to treadles cause shafts to sink when a treadle is depressed. Threading and sleying ease. 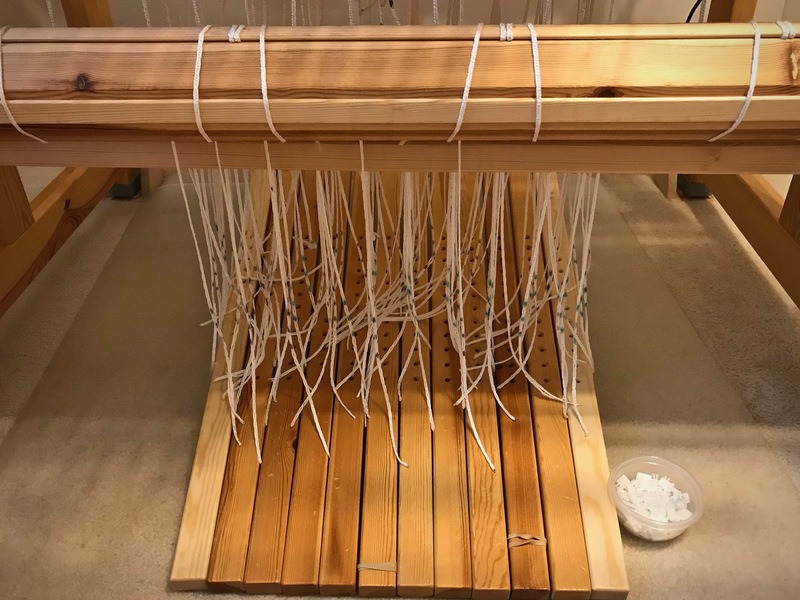 Loom bench sits “inside” the Glimåkra Standard loom, comfortably close to heddles and lease sticks for threading and for sleying the reed. 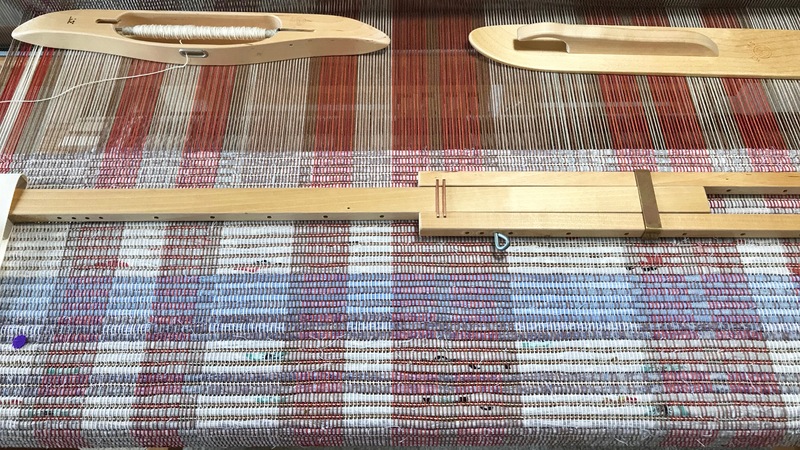 Bench sits in the loom for threading heddles. I call this my little playhouse. Texsolv heddles. Heddles can be easily added or removed from shafts (shafts are also easily added or removed). Quiet. Easy to thread. Perfect fit. 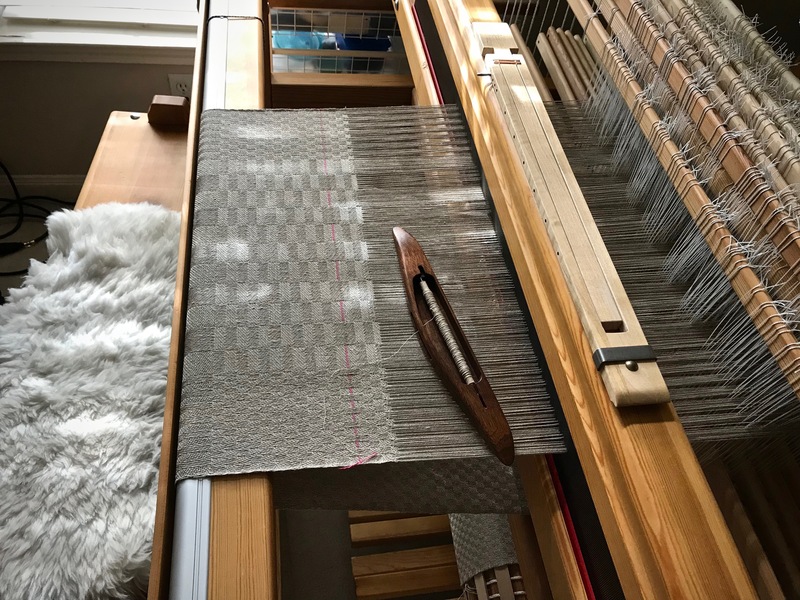 A petite person like me can weave on a large loom (my Standard is 47”/120cm) as comfortably as someone with longer arms and legs. Able to sit in upright posture for weaving. Wooden. The loom is primarily wood. Bonus if you appreciate natural beauty of wood. Held together with wooden wedges and a few bolts. No screws or wing nuts. Scandinavian clarity. 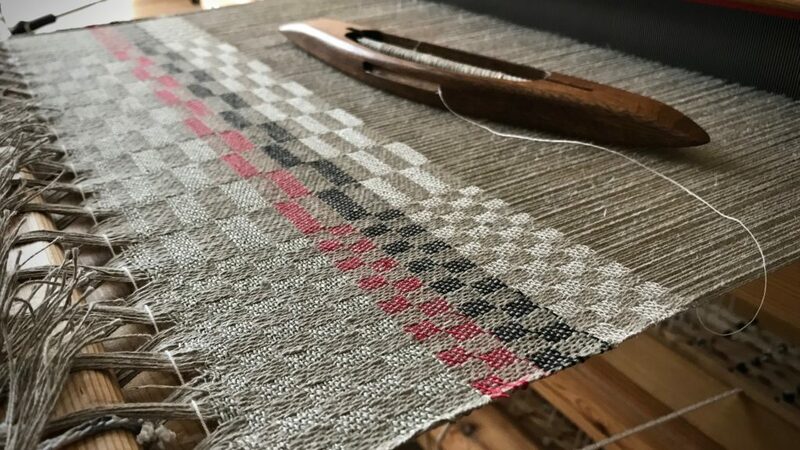 Because of the Swedish loom, I adopt Swedish weaving practices and have an interest in traditional Scandinavian textiles. The loom fits the style. Streamlined design, precision, systematic and logical processes, and beauty with function. Treadle cords are attached. Little anchor pins lock each cord into position under the treadle. After a few adjustments, the shed on each treadle is good. The loom is dressed! Five-shaft satin dräll coming up! 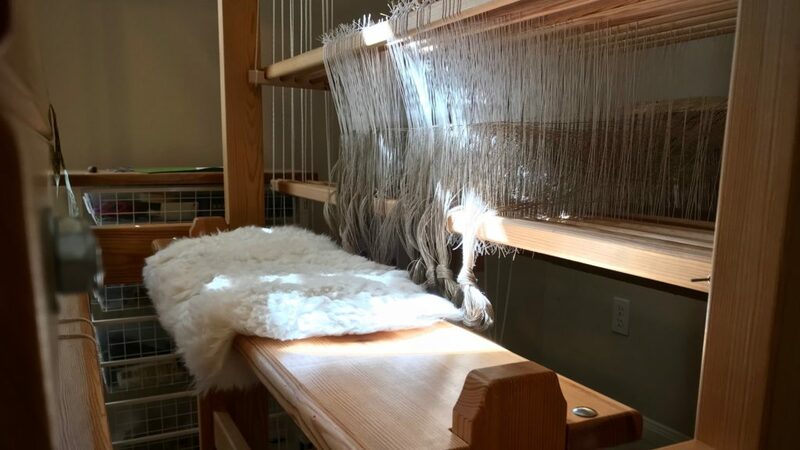 When I weave on my Glimåkra Standard countermarch loom, I am soaring like an eagle. I’m sailing with the spinnaker up. I am a pipe organ maestro. I am dreaming while fully awake. This is everything I imagined weaving could be, only better. 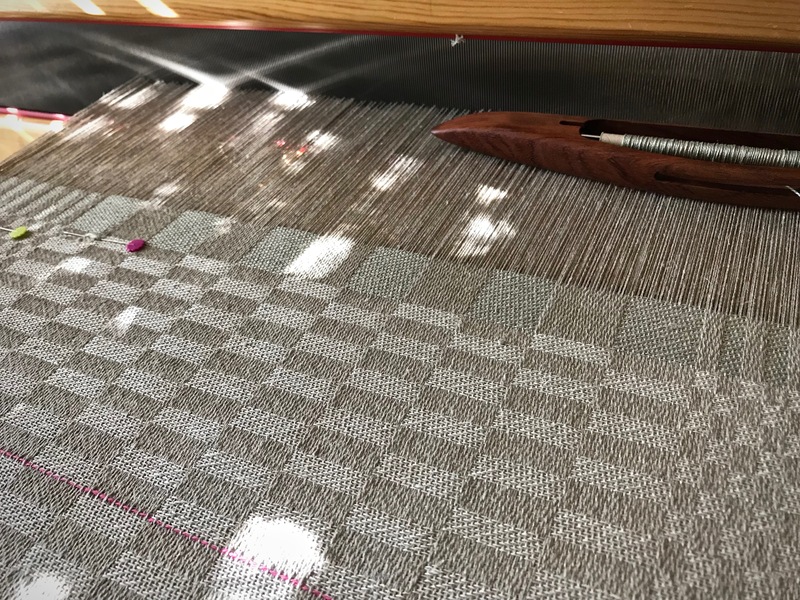 Testing weft options. Gorgeous handcrafted damask shuttle, Chechen wood, made by Moberg Tools. 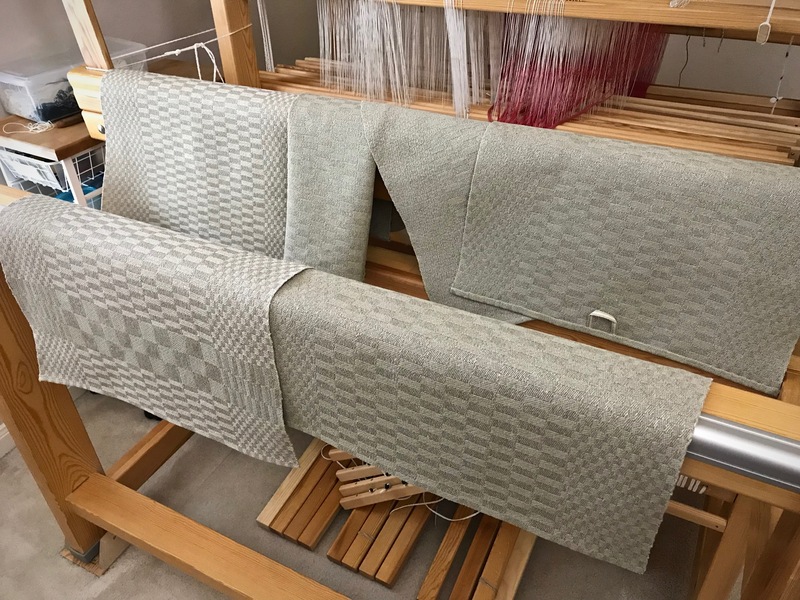 Five-shaft satin dräll–a weaver’s dream. 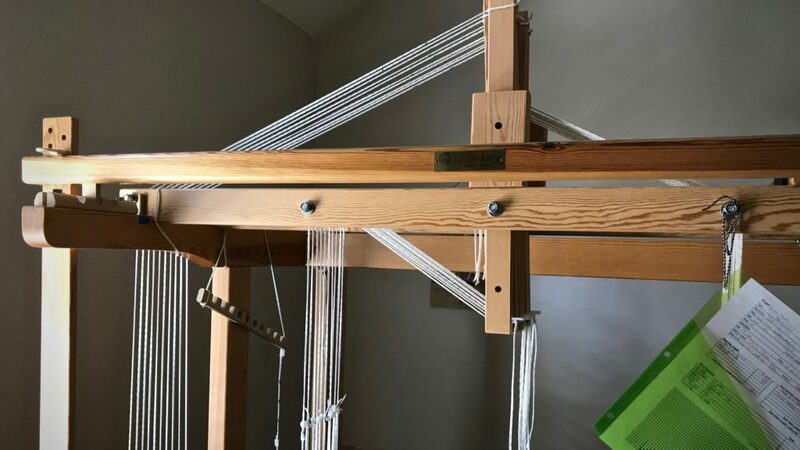 For more in-depth information about countermarch looms, comparisons of looms, and other fantastic resources, see articles written by Joanne Hall, found at Glimåkra USA. May you live your dream. This article is exactly what I needed to read, Karen. I have been looking online at websites at the various looms, trying to decide which one I think would be best. I narrowed it down to countermarches for the versatility and sheds but was confused about brands, sizes, etc. This really helps. However,l I have a large learning curve before I jump into buying one unless a great used one suddenly appears. Hi Annie, It was your previous comment that prompted me to write this. So I thank you for that! Take your time with research and questions. As you narrow it down, you’ll gain confidence about making the right choice for your circumstances. Great descriptions/instructions! 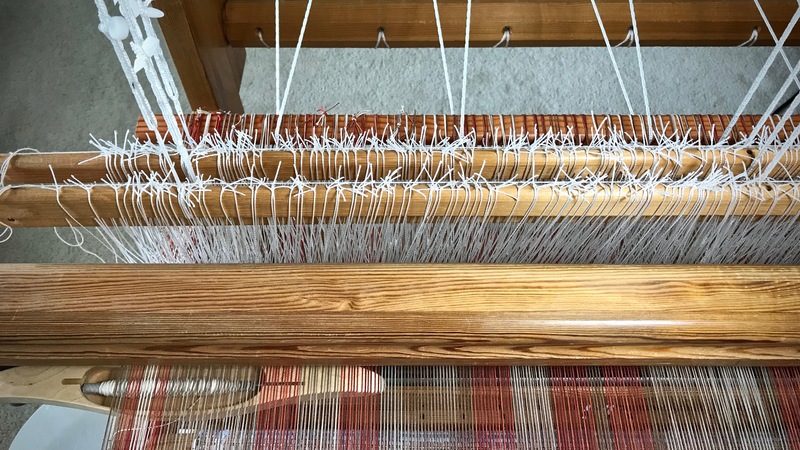 Yes, sitting on the floor tying up the treadle cords for any contramarsch loom is tedious, but as you said, the results are well worth it. Sounds like you have written an ad for Glimåkra. 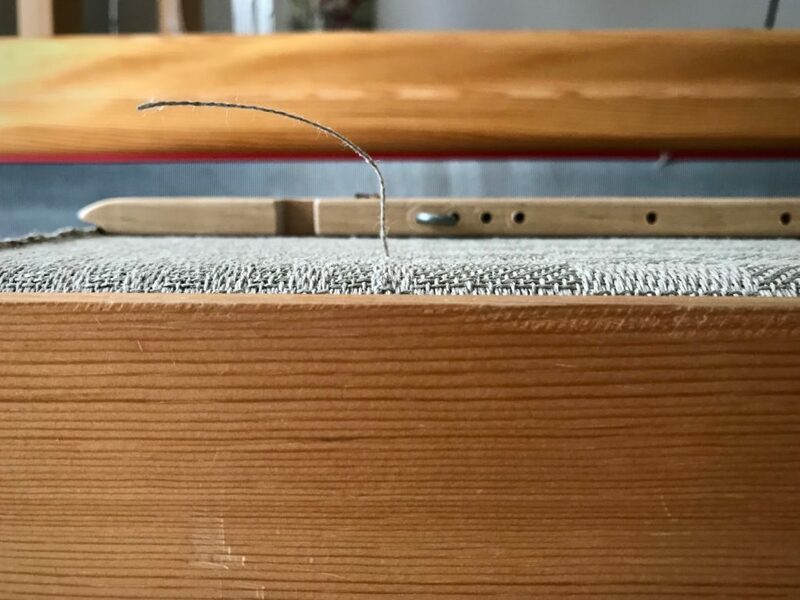 The same, even somewhat better results can be obtained on an Öxabäck loom, a.k.a “Ulla Cyrus”? Hi, JAN, Yes, the tie-up can be demanding, but I can see that you enjoy what comes as a result, too. I’m afraid you’re right. It does sound like an ad for Glimåkra. 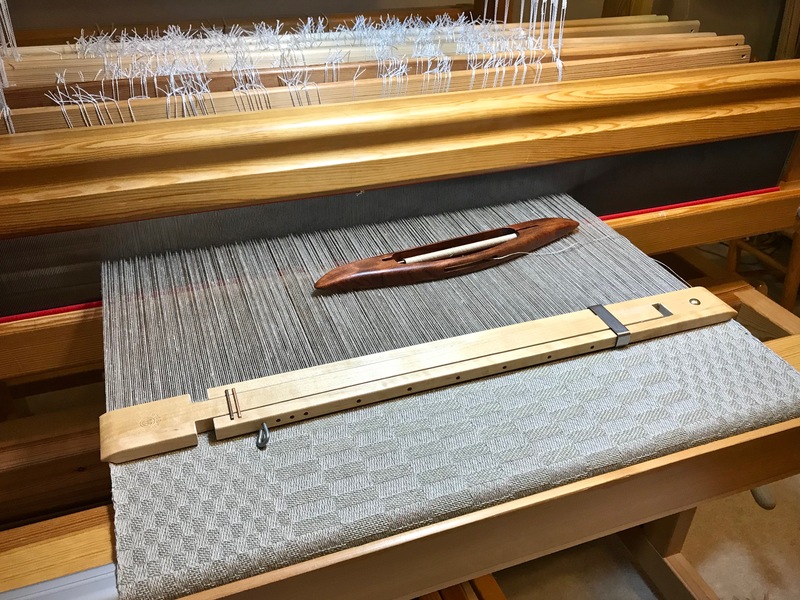 I’m very happy with my Glimåkra looms, so I may be a little eager about my own experiences. Öxabäck has a wonderful reputation! I haven’t yet had the pleasure of weaving on one. I’m sure there are details about the Ulla Cyrus and other countermarch looms that I would really appreciate! 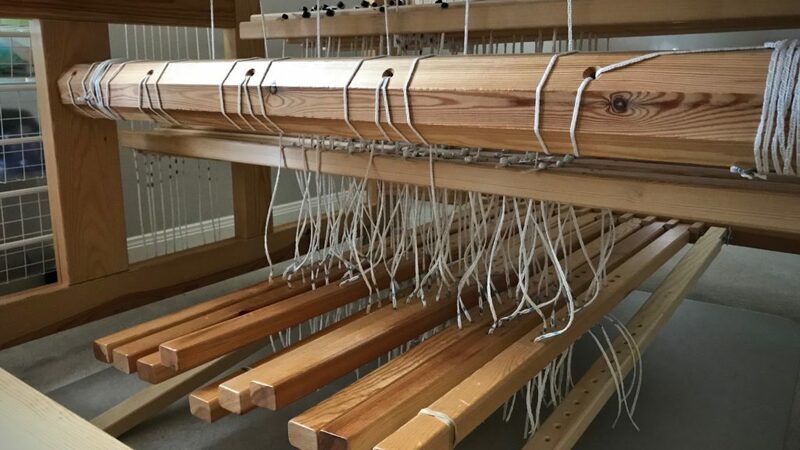 Check out Vavstuga Weaving Studio’s way of tying up the treadles. Becky has figured out how to ditch the legged pegs for knitting needles. So much easier! Hi Joan, I think Becky’s ingenious method of using knitting needles for tying up treadles is fantastic! I learned it at Vavstuga Basics a few years ago. I use that method when weaving with two, four, or even six shafts. 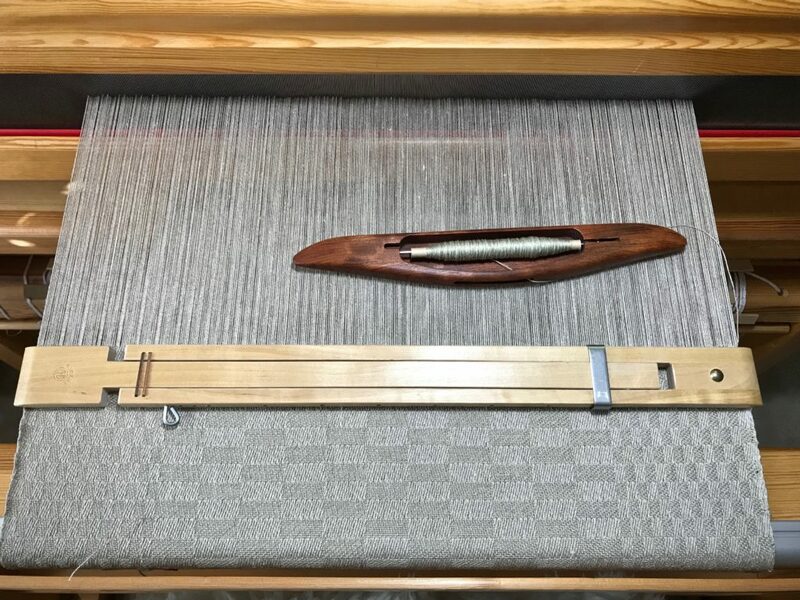 When weaving with eight shafts, however, I have found that I can get better sheds by tweaking the tie-up after weaving a few inches. And it’s easier to pop out and replace individual pegs than to pull out the knitting needle and redo the whole treadle. So, with eight or more shafts, I prefer the old-fashioned method of pinning each treadle cord. I have a 4 shaft Glimåkra. I love it. Hi, Esther, I can spend hours on my 4-shaft Glimåkra. 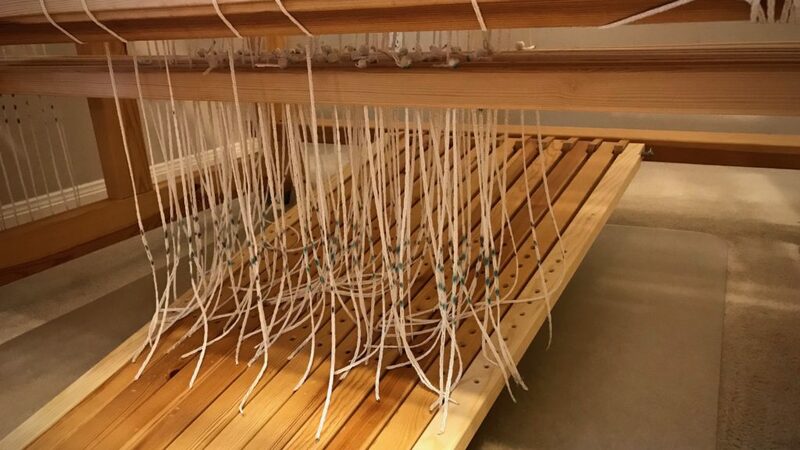 It’s such a weaver-friendly loom. It’s good to hear of your experience! I have a Glimakra 4 shaft. I have found it to be great to use. I have had to dismantle it to move and it is very easy to assemble again. My least favorite job is changing the tie up. Hi Kayleen, Thank you for bringing up how easy it is to dismantle and re-assemble. I didn’t think of including that in my list. That is definitely a big plus! Changing the tie-up is one of those things of which can be said: “I didn’t necessary like doing it, but I like having done it.” It does give me a good sense of accomplishment! Thanks Karen, very clear and I love your conclusion. Such prose! It is exactly how I felt when I finally had my Toika countermarch up and running, after years on a counterbalance (which is still very useful, and I like it too). 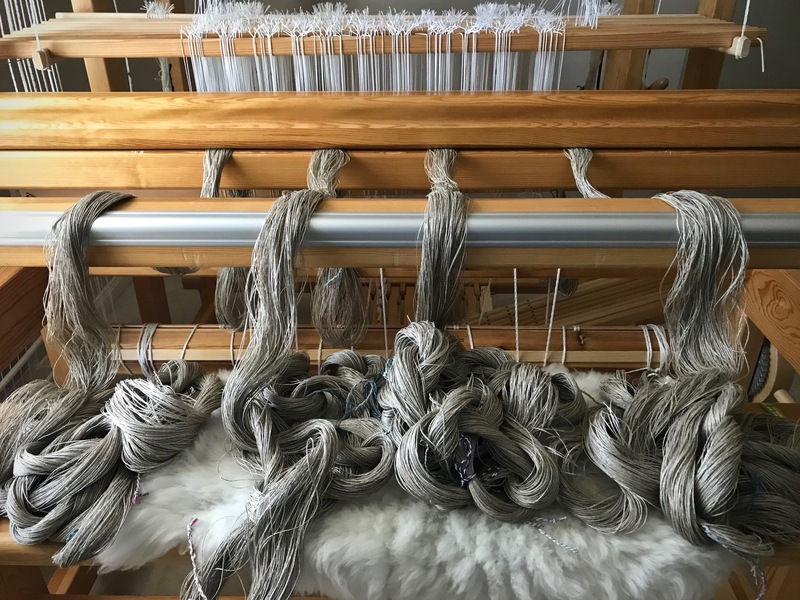 I have graduated to 8 shafts, 8 treadles, this week going to 10 treadles: more texsolv to cut, more crawling to do… 10 shafts comes in a year or so, lots of soaring and playing to do first. Living the journey and reading your blog faithfully! 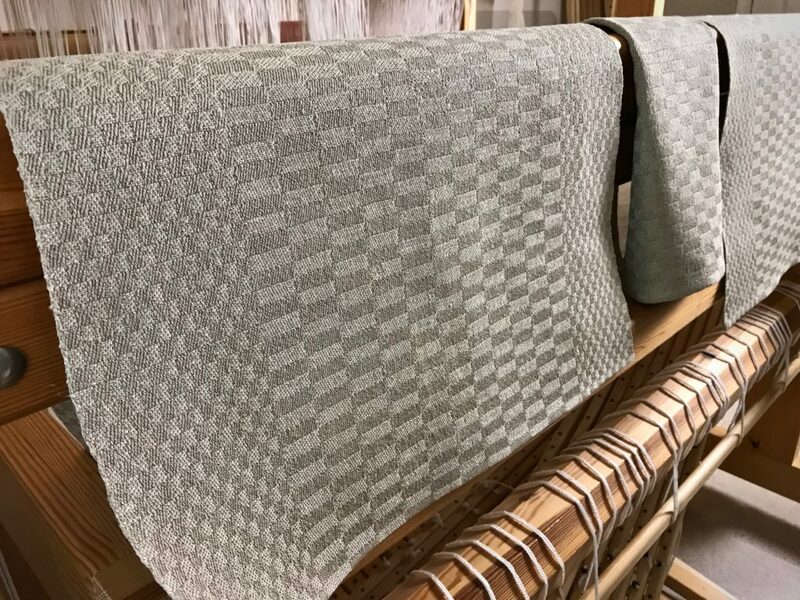 Hi Gerda, There’s such satisfaction in weaving on a loom that functions so beautifully for the task. That’s great that you are graduating little-by-little adding treadles and shafts. There’s no hurry, because even 2 or 4 shafts is sufficient to have a grand time at the loom.